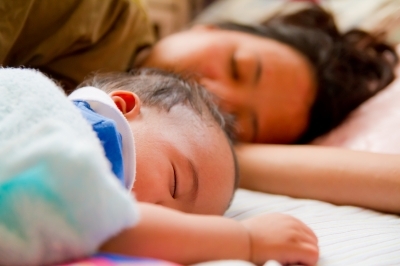 Sleep is a precious commodity to new parents. It’s doubly precious to parents raising kids with special needs, kids who often have sleep issues. Katy Bird, a favorite special needs blogger mom at Bird on the Street, is on a mission to get more sleep. That’s not an easy task for a mom who’s oldest son Charlie, lives with cerebral palsy. She’s also the mom to twin boys, Louis and August (who needs a gluten-free diet), and baby Rex. The twins and Rex are under 3 years old. Consider a melatonin supplement. After consulting the doctor, of course. Look for sensory stumbling blocks. Get rigid in your routine. Dim lights in the house thirty minutes before bed. Eliminate any spaces between a child’s tight muscles and the bed. Katy explains each tip in detail at her post Getting Special Needs Kids to Sleep, where you’ll also find pictures of four of the cutest little boys you’ve ever seen. You might also like her post about Getting the Kids to Bed, where she shares some facts about sleep in kids and adults. Pretty interesting stuff. Does your child with special needs have sleep issues? What kind? What strategies have you discovered to improve your child’s (and your) sleep? What are some areas where you and your child still need help? Leave a comment to share your frustrations, your breakthroughs, and your advice and to encourage other parents dealing with similar challenges. Thanks! I don’t understand tip #7 …. You’re the second vote for melatonin in one day. Thanks for the tip. Thank you Maureen. How wonderful that it worked for you. Perhaps your hint will help someone else, too. We use melatonin 3mg for my 11 ye old son. Our pediatrician and his neurologist both recommended it as safe and works great!!! Thanks for the link, CJ, and for carrying a line of products to keep kids safe. Thanks for stopping by. I hope one or more of those tips works for you. Stop by with an update when you can. I’m praying for sweet dreams for all of you!